Much loved indie rock band You Am I are one of the most successful recording bands in Australia. 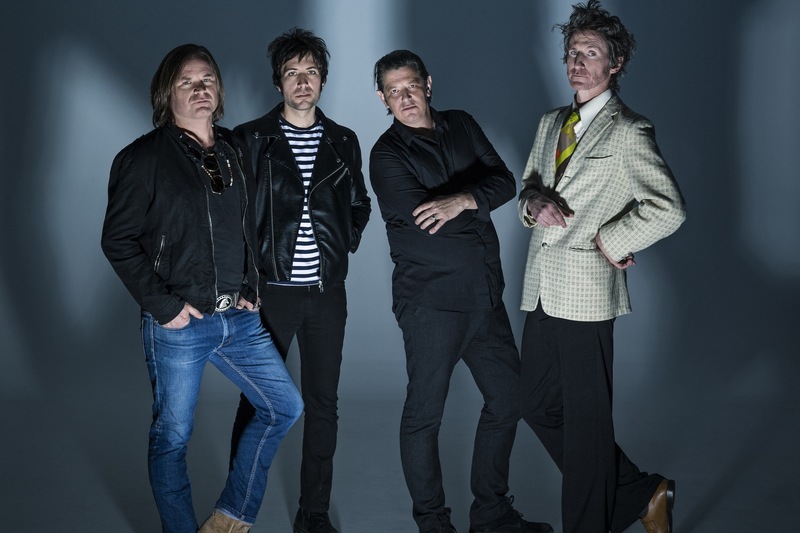 Formed in 1989 and fronted by prolific singer-songwriter-guitarist Tim Rogers, the group released three successive albums debuting at number one on the ARIA Albums Chart - Hi Fi Way, Hourly, Daily and #4 Record. Hourly, Daily served up classic Australian hits reflecting on surburban life, such as ‘Mr Milk’, ‘Soldiers’, ‘Good Mornin’ and ‘Tuesday’. The lauded album was a nostalgic trip influenced by Rogers’ love of The Sixties. Hi Fi Way featured songs about young adulthood, dead-end jobs and escapism, including hit singles ‘Cathy’s Clown’, ‘Jewels And Bullets’ and ‘Purple Sneakers’. Both Hi Fi Way and Hourly, Daily were voted into the Hottest 100 Albums of All Time by Triple j (2017). You Am I have won a total of Ten ARIA Awards including Album of the year, Best Group, and Best Independent Release. Double J voted ‘Berlin Chair’ as Best Australian song of the 90’s. They’ve toured worldwide headlining shows across North America and Europe, and played support for Soundgarden, The Who, The Rolling Stones & Sonic Youth. They are one of Australia’s quintessential indie rock bands. Come and hear the classics from the kings of swagger. You Am I have won a total of Ten ARIA Awards including Album of the year, Best Group, and Best Independent Release. Double J voted ‘Berlin Chair’ as Best Australian song of the 90’s. They’ve toured worldwide headlining shows across North America and Europe, and played support for Soundgarden, The Who, The Rolling Stones & Sonic Youth.